Roses do not like wet feet; good drainage is a must. However, the Swamp Rose is the one rose that can take having its feet wet. 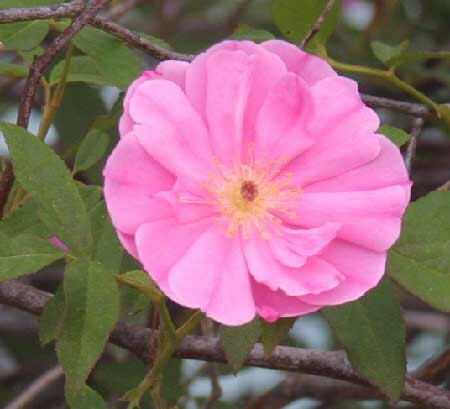 The Latin name, rosa palustris, literally means swamp rose. 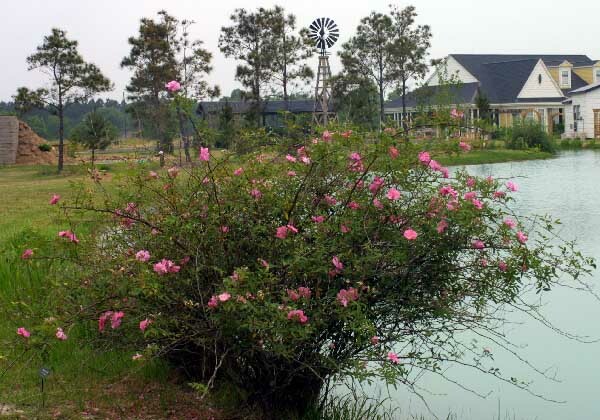 Plant it on the edge of a pond, lake, or in a raised bed and you'll be rewarded with double pink blooms every spring. It can take extreme heat or cold and has a beautiful weeping form in all seasons. Expect it to get 4'x6' in size.